Please guide me how I should improve this. My target score is 680. So I need Atleast a 100 point increase. I would request people to please introduce me to a good verbal focused course as well. Also please guide me how is my quant score? Is it weak normal or good enough for my target score? In my 2 official mock tests I got Q41 and Q47. Your quantitative score puts you somewhere in the middle (55%) globally. It's really close to the Q47 (61%) you got on your second practice test, and above the Q41 (41%) you got on your first test. Your verbal score is a little below average though (36%). This means that you'll need to get at least a 60% on your verbal section (but preferably a 70% to take some of the pressure off your quant). How would you suggest I prepare for it? 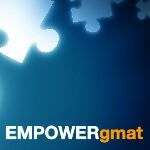 I previously used Manhattan GMAT books for quant, A mix of GMATPrepNow and Economist GMAT for verbal. And OG 10th addition for practice. In a prior post, you stated that your Score Goal was 650; if your Goal is now 680, then you'll likely require at least another 2 months of consistent, guided study to raise this Official Score to that point that you can consistently score 680 - and you'll have to make significant improvements to how you handle BOTH the Quant and Verbal sections. Thankfully, the GMAT is a consistent, predictable Exam, so you CAN train to score at a higher level. 1) What application deadline(s) are you currently facing? no Deadlines, I missed them for this year so I have all the time in the world. I can give around 1-2 hours daily. Please guide me on how I could improve this score? Practice? Focusing on concepts? While I imagine that it's a bit disappointing to have missed out on this year's application deadlines, the opportunity to significantly improve your GMAT Score (and thus, apply later with a stronger overall application) cannot be overlooked. To start, you might choose to purchase the Enhanced Score Report. While the ESR doesn’t provide a lot of information, there are usually a few data points that we can use to define what went wrong on Test Day (and what you should work on to score higher). If you purchase the ESR, then I'll be happy to analyze it for you. I’m glad you reached out, and I’m happy to help. Your quant score is pretty solid; however, to help boost your score by 100 points, you probably want to improve both your quant and verbal skills, so you can maximize your score gain. That said, I’m happy to provide some advice on how to improve those skills. Although I do not know how you previously studied, moving forward, you should follow a structured and linear study plan, so you can individually learn each GMAT quant and (especially) verbal topic and practice each topic until you’ve gained mastery. For example, let’s say you start by learning about Critical Reasoning. Your first goal is to fully master the individual Critical Reasoning topics: Strengthen the Argument, Weaken the Argument, Resolve the Paradox, etc. As you learn about each question type, do focused practice so you can track your skill in answering each type. If, for example, you get a weakening question wrong, ask yourself why. Did you make a careless mistake? Did you not recognize the specific question type? Were you doing too much analysis in your head? Did you skip over a keyword in an answer choice? You must thoroughly analyze your mistakes and seek to turn weaknesses into strengths by focusing on the question types you dread seeing and the questions you take a long time to answer correctly. Now, regarding quant, you seem to be in much better shape. If you can improve to at least a Q47, you should be in a pretty good spot. Since you recently scored a Q45, you clearly don’t need to go back and learn the foundations of GMAT quant; however, you still should engage in a process of linear learning and focused practice to find and fix any gaps in your quant knowledge. For example, if you are reviewing Number Properties, be sure that you practice 50 or more questions just from Number Properties: LCM, GCF, units digit patterns, divisibility, remainders, etc. As you do such practice, do a thorough analysis of each question that you don't get right. If you got a remainder question wrong, ask yourself why. Did you make a careless mistake? Did you not properly apply the remainder formula? Was there a concept you did not understand in the question? By carefully analyzing your mistakes, you will be able to efficiently fix your weaknesses and in turn improve your GMAT quant skills. Number Properties is just one example; follow this process for all quant topics. Each time you strengthen your understanding of a topic and your skill in answering questions of a particular type, you increase your odds of hitting your score goal. You know that there are types of questions that you are happy to see and types that you would rather not see, and types of questions that you take a long time to answer correctly. Learn to more effectively answer the types of questions that you would rather not see, and make them into your favorite types.